Soak up holiday bliss in Lenno – with this hillside retreat! Enjoying a sunny scenic setting up on the Lenno hillside, this modern 2 bed family retreat provides the ultimate escapism for 6. The WIFI-enabled 1st floor apartment boasts plenty of space for kicking back. A bright and welcoming Living space enjoys direct access out to the sunny lake view balcony terrace; for the perfect easy going holiday flow. The room enjoys an inviting open plan feel too, with a comfortable sitting area with flat screen TV and DVD player featuring next to a fully-equipped Kitchen Diner for 6. All the must-have appliances are provided including a cooker hob, oven, microwave, electric kettle, toaster and dishwasher. The versatile sleeping accommodation is ideal for friends and family. A spacious Master Double with far reaching lake views features alongside a second lake view bedroom with 2 Single beds. A modern shower room and laundry facilities complete the internal layout of this spacious no fuss retreat. Outside, the 1st floor apartment is complemented by a sunny private garden, perfect for alfresco dining. A garage is also provided with the property. 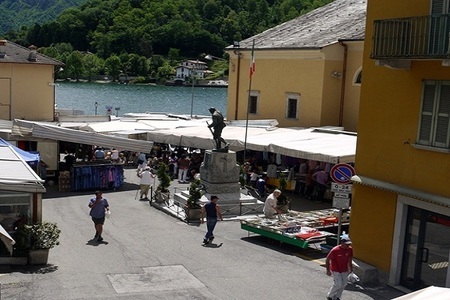 From its tranquil sunny setting, the nearby shops, authentic eateries, cafes, picturesque lakeside and fashionable lido in Lenno are within easy driving distance. Key Features: • Scenic hillside setting above Lenno • Free WIFI • Private lake view balcony • Private garden with BBQ • Garage Sleeping: Bedroom 1: Spacious lake view Double bedroom, with wardrobe Bedroom 2: Child-friendly lake view room with 2 Single beds and wardrobe Extra: A Double sofa bed features to the Living room Additional adult single camp beds and travel baby cots may also be hired (for an extra charge). Bathrooms: The spacious apartment features a modern fitted suite with shower cubicle, a wash basin, WC + bidet Additional: • Central heating + fan • Hairdryer • Universal shaver plug • Washing machine + ironing board • Awning to balcony • BBQ + alfresco dining set • 120sqm garden • 2 Sun loungers • Car recommended Location: From its peaceful secondary road location along Via degli Alpini, the hillside holiday home is within easy driving distance of central Lenno. In the town, supermarkets, cafes and restaurants are all on hand to complement and enhance your self-catering stay. 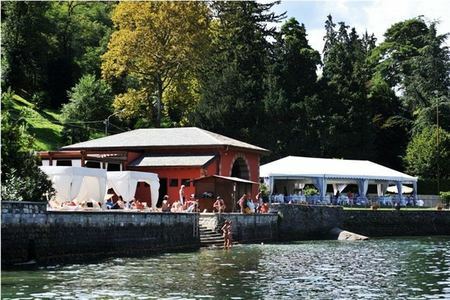 The historical lake village is home to the fashionable Lido di Lenno which boasts a sandy lake beach, a stylish café bar restaurant and a cool evening ambience for those looking to party. 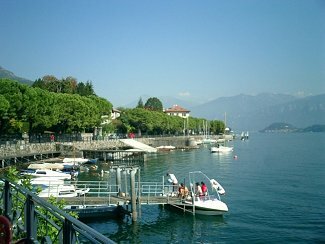 The village also offers walking routes and frequent water taxi boats to the famous Villa Balbianello (situated on the other side of the bay). 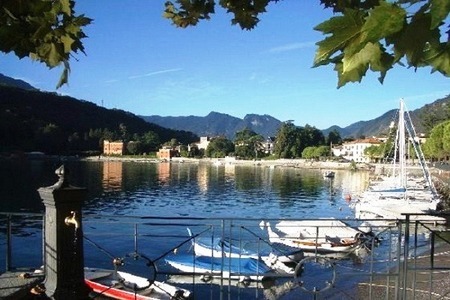 From Lenno, bus and road links provide easy access to the nearby delights of Tremezzina and the Central Lake. 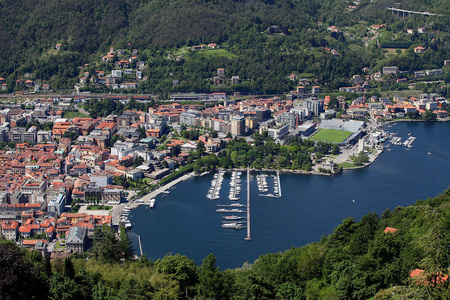 Nearby car and passenger ferries operate from Cadenabbia and there are a wealth of walking routes, restaurants and Lidos to enjoy, alongside the beautiful Villa Carlotta. 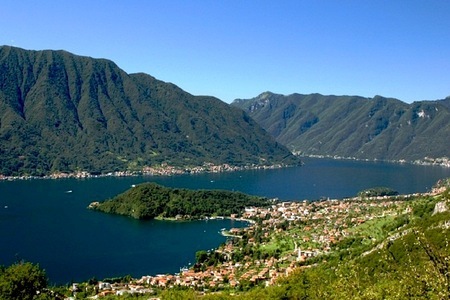 Guests are placed within easy reach of Como (approximately 60 minutes’ drive), Lugano (approximately 70 minutes’ drive) and Milan (approximately 1 hour 55 minutes’ drive). 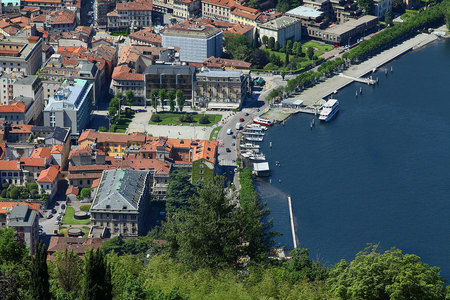 Lake Como offers a strong year-round appeal; with water sports, sailing, golf, tennis, horse riding, extreme sports, fine dining and hiking to enjoy in the warmer months and Italian Alp skiing and city day trips to take on during the short winter months. June 2017 The villa location was excellent...we wanted to be able to walk to dining, water taxi, and hiking and be on the shorefront--this villa met our needs in this regard. 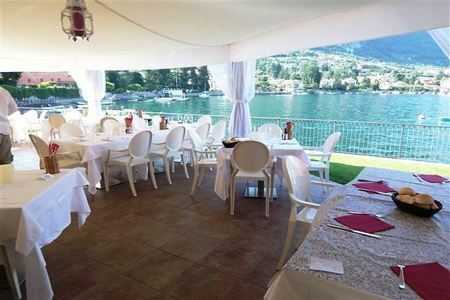 The Al Veluu ristorante was excellent and deserves special mention! We used the water taxi regularly and found it to be reliable, reasonable fees, and a great alternative to driving a rental car. Overall, my family and I thought our experience was outstanding and we all wished we could have stayed longer! We were particularly pleased at the pleasant and courteous attitude of the local Italian people...everyone in the restaurants, grocery stores, banks, and taxi were very gracious and customer service oriented. 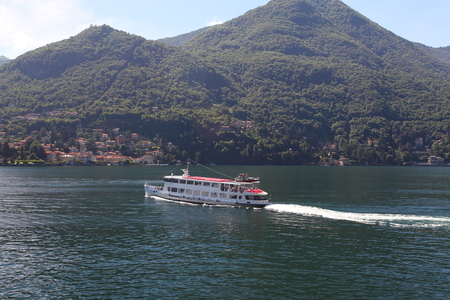 Many thanks to the people of Lenno (other than the water taxi ticket clerk)! In summary, I would say that the villa itself was a bit overpriced for the condition it was in...I would upgrade the mattresses for example. In one word though, our experience was SUPER! By the way, Elisa was very helpful and responsive in our planning, the Aurora limo drivers were great, and Danielo was excellent regarding our 2 dinners. We have already recommended your company to some of our friends because of the people you have on your staff. Thomas, UK " Thomas Smith "